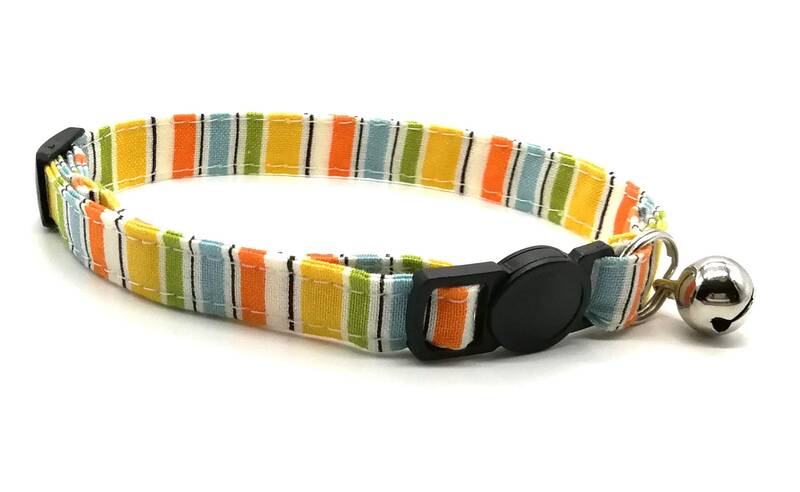 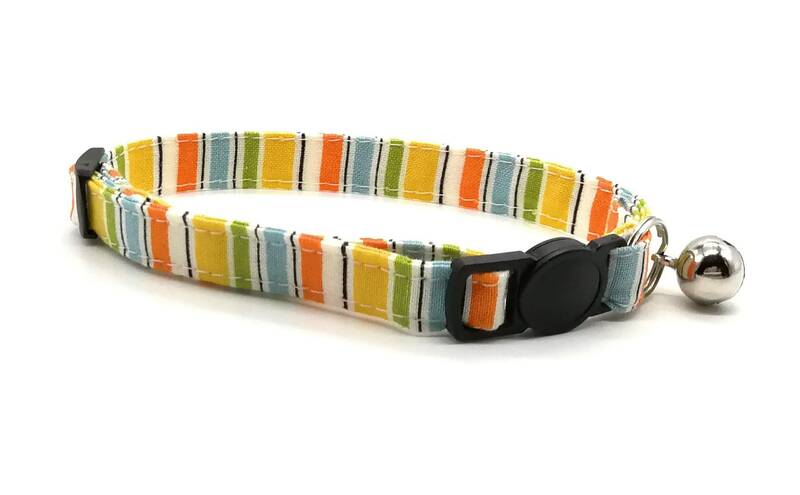 Cat collar in orange and yellow stripe fabric. 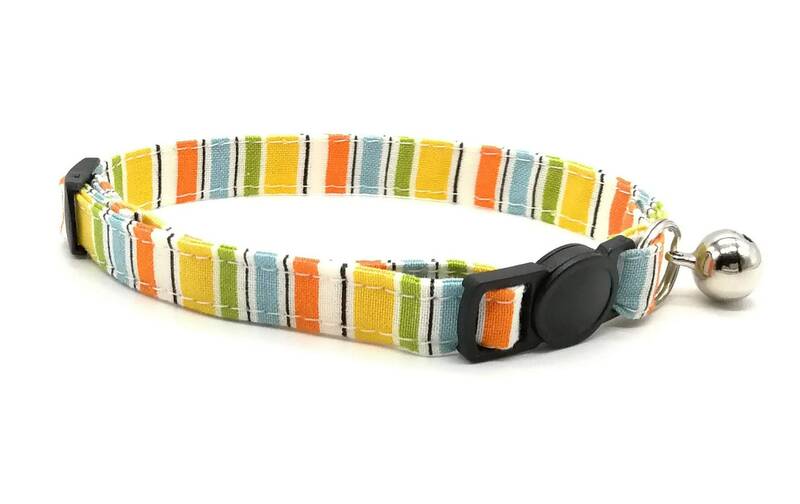 Breakaway safety collar. 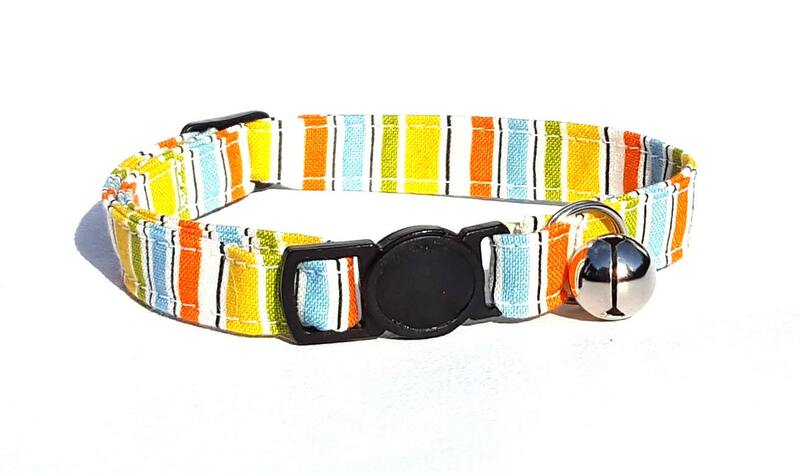 Breakaway clasps are designed especially for cat collars in order that they break open if your cat should get stuck and are not designed to be used with leashes. 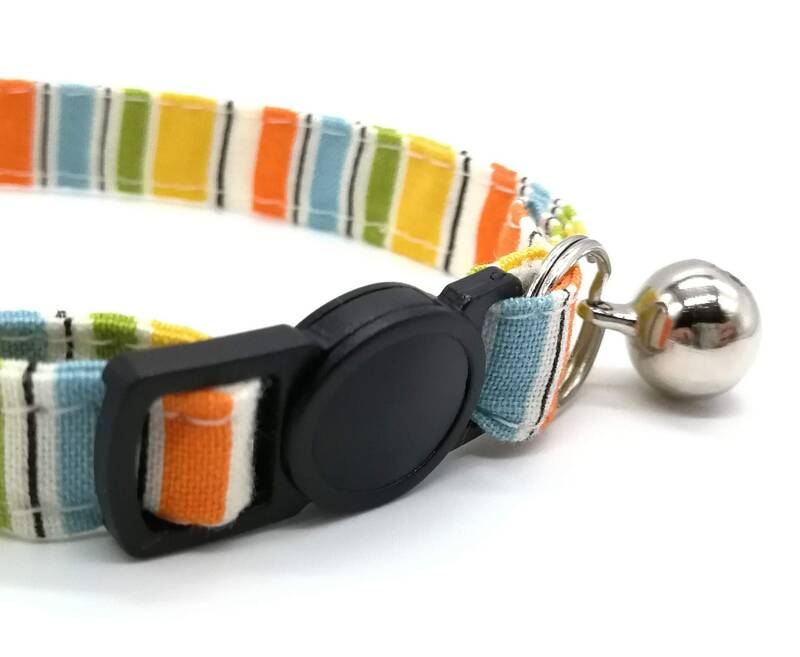 This collar is super cute and looks adorable on my cat!